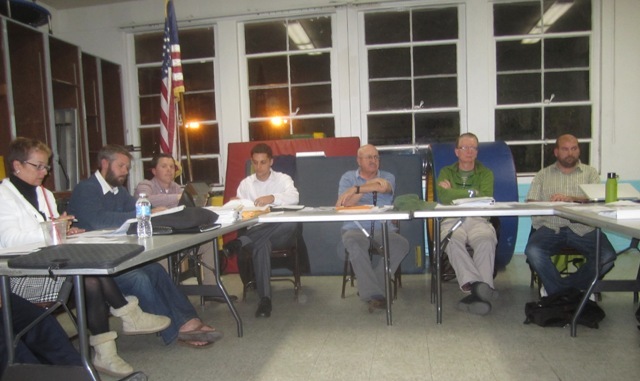 OB Planning Board meeting of Dec 4, 2013. The Ocean Beach Planning Board holds its monthly meeting tonight – Wed., April 2nd – at the OB Rec Center, located at 4726 Santa Monica Avenue, at 6 pm sharp. First on their potentially busy agenda after the normal quorem-agenda-minutes housekeeping is the certification of the Board’s most recent election – held on March 11th. This is usually a pro forma procedure. Next is the decision on whether there will be any appointments to the Board itself. At the most recent OB Town Council meeting, the liaison with the planners, Gio Ignolia, announced that there are 4 5 appointments available – two in the all-important District 4, and one each in Districts 5, 6 and 7. And there are indications that several people have applied for an appointment. If applicant candidates qualify, then the full Board votes them up or down. So, for example, a likely candidate is someone who has applied to be appointed but it’s months after the election, or someone who lost in the race for their own district, can then be appointed to another district if there is an open seat. Each of the 7 districts have 2 representatives, whose elections are staggered. Once the appointments are met or not, the Board settles in for its annual election of officers. Each office is up for grabs – Chair, Vice-Chair, Secretary and Treasurer. Current Chair Tom Gawronski has told the Rag that he would step down if there was someone else willing to take the reins of the City-recognized organization responsible for planning and development in OB. It’s not known if anyone is up to the often-thankless task. Neither Vice-Chair Pete Ruscitti nor any other veteran planner have indicated publicly plans to run for the Chair – as far as we know. It is known that current Treasurer Barbara Schmidtknecht is resigning from the Board after four years. 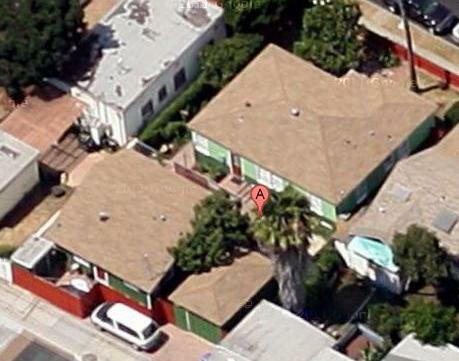 Aerial view of 4945 – 4947 Muir; proposed demolition is of old house off alley and adjoining garage, with construction of 2 units in their place. 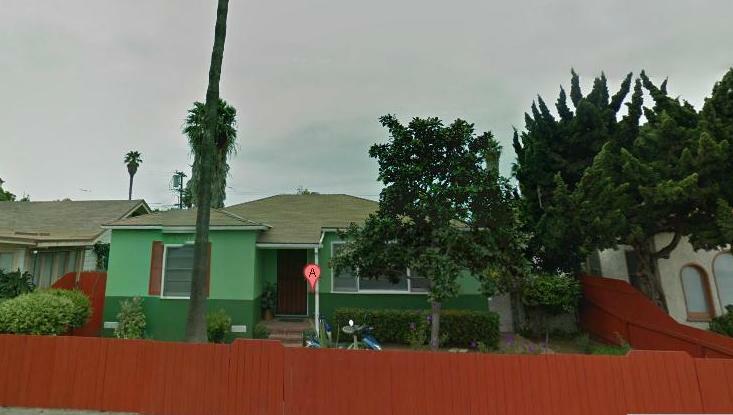 The owner-applicant wants to demolish the nearly century-year old single story residence in the rear of the 5,000 square foot lot (built in 1916) along with the demolition of a one car garage built in 1949. Two new dwelling units would then be constructed in their place, while the front unit is maintained. Next on the agenda is a resolution to conceptually support proposed improvements for the grassy park at the foot of Saratoga Avenue. Proposed improvements include a small children’s playground, adult fitness stations, and public seating. The proposal is being sponsored by the Ocean Beach Community Development Corporation – and funding for the improvements will primarily be private contributions and grants. In fact, a public workshop is being held by the OBCDC on the proposed improvements, on Tuesday, April 8th, also at the OB Rec Center. Part of the Board’s resolution, it appears, is a request to the sponsors and supporters of the improvements to bring the final plans to the Board as part of the public review process. The OB Planning Board does have primary responsibility for the public infrastructure in OB. Finally there will be an update on the current process of having the new OB Community Plan Update approved.